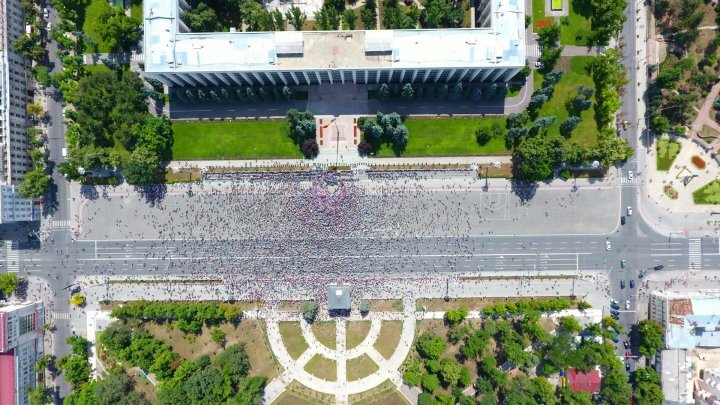 The protest, organized by several parties that called for the validation of the elections in the capital, broke like a soap bubble. Although they have announced that they will not go home and will manifest until the decision of the Supreme Court of Justice to be taken this afternoon, now there is no protester in the center of the capital. Several dozen people stood before Parliament before the morning, but then left the legislature square. Neither Andrei Năstase nor Maia Sandu, who urged people to stay all night in the street, were not, at the end, with the few protesters. "Let's relax and prepare for the Court's decision tomorrow," said PAS leader Maia Sandu. "We will stay here. Everything will depend on us", said Andrei Năstase, the PPDA leader. The protest leaders said so last night. 3000 people showed up yesterday but only a few dozen of them remained in front of Parliament during the night. Among the protesters was Sergiu Cebotari, who is targeted in a criminal case for forced labor and for embezzlement in particularly large proportions, the amount of the damage caused being 400 thousand lei. Lawyer Eduard Rudenco, who defends the no.1 raider in the CIS, Veaceslav Platon also participated the rally. Năstase's supporters are indignant that the magistrates of the court of first instance and those in the appeal did not validate the June 3 elections. The PPDA leader challenged the decision in the Supreme Court of Justice, and a hearing on this is scheduled for the afternoon.